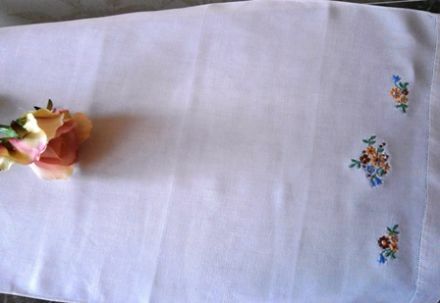 This is a beautiful little, white, huckaback towel measuring 22 inches by 15 inches long. 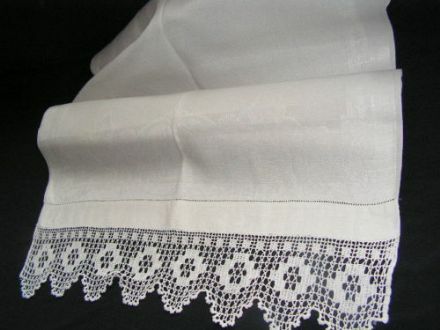 A beautifully long, white, huckaback towel measuring 42 inches by 21 inches and having very generous hand crocheted lace measuring 5 inches deep at both ends. 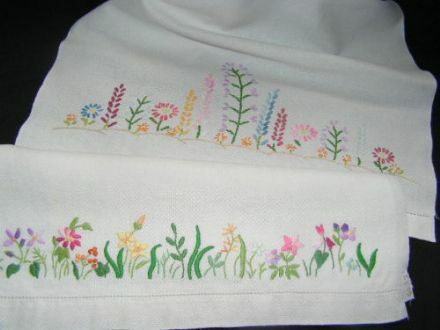 This is a beautiful little, white, huckaback towel measuring 21 inches by 14 inches. 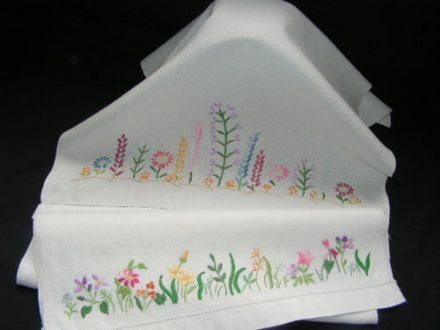 This is a beautiful, small, white, huckaback towel measuring 20 1/2 inches by 13 1/2 inches. 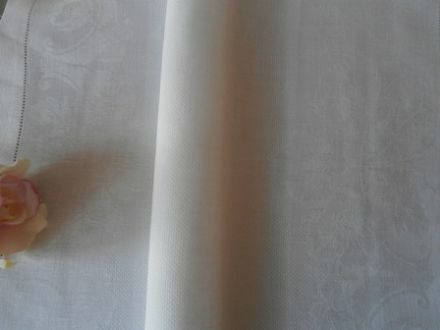 A beautifully long, white, huckaback towel measuring 21 inches by 14 inches. 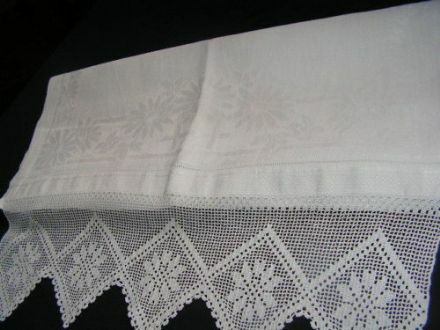 A beautifully long, white, huckaback towel measuring 41 inches by 22 inches and having very generous hand crocheted lace measuring 4.5 inches deep at one end. 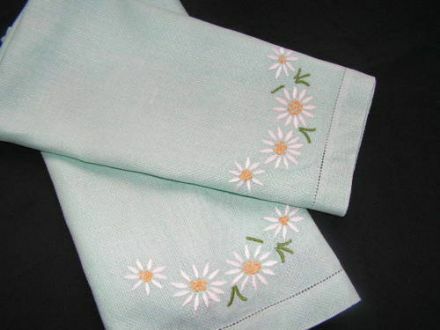 Measuring approximately 20 x 14 inches, these delightful little hand towels do not have any holes or stains. 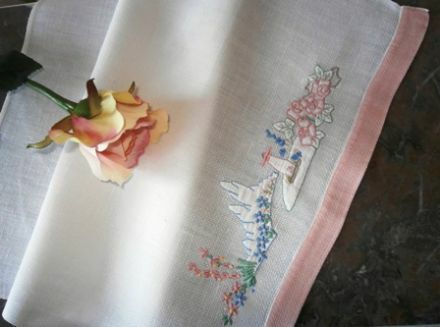 This is a beautiful hand embroidered, sea green Irish linen huckaback towel measuring 23 inches by 14 inches. 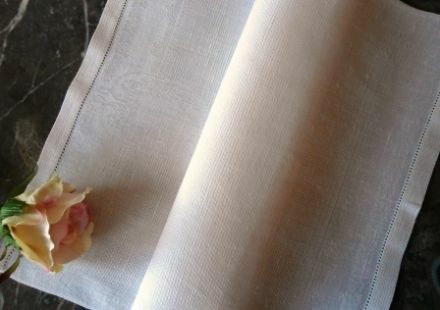 Huckaback - A coarse and very durable cloth of linen, or linen and cotton, woven with alternate elevations and depressions so as to have a rough face. The loose weave which produces an uneven surface makes huckaback towels very absorbent whilst also massaging the surface of the skin. 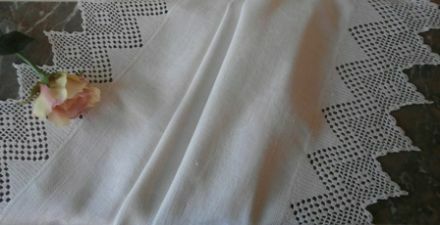 Huckaback towels are much smaller than terry towels when folded and are therefore particularly suitable for travellers.